Introducing a new platform that supports today's hockey communities that are always on the go. Already a member? Login here or Find Your Team. Enhance your hockey team's development with hundreds of personalized practice plans, skill videos and animated drills. Streamline your team's training with highly personalized practice plans designed by today's best coaches. Enhance yours teams skill and strategy with hundreds of HD and on-demand videos featuring today's leading pros. 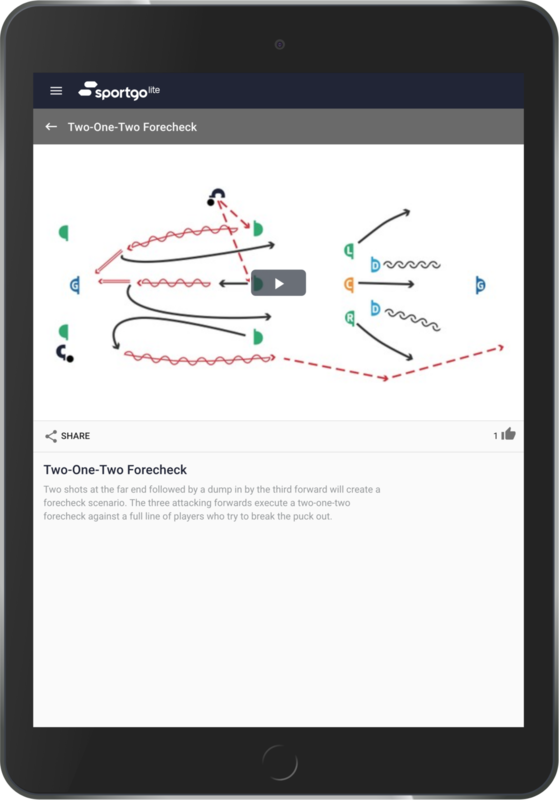 Access hundreds of animated drills and create fully customizable playlists for your entire team to watch. Save time organizing your team each and every week through simple and powerful team management tools. Simple automated event invites, reminders and attendance reports mean less work for everyone. Quickly assign fees, collect and track money from your entire team to avoid last minute payment hassles. Easily contact your team, coordinate tasks and send last minute updates so that everyone is on the same page. Streamline your league administration with easy-to-use club communication, scheduling and registration tools. We aim to make life easier for league commissioners, administrators and volunteers. Please fill out the form below and we'll be in touch shortly to show you how.